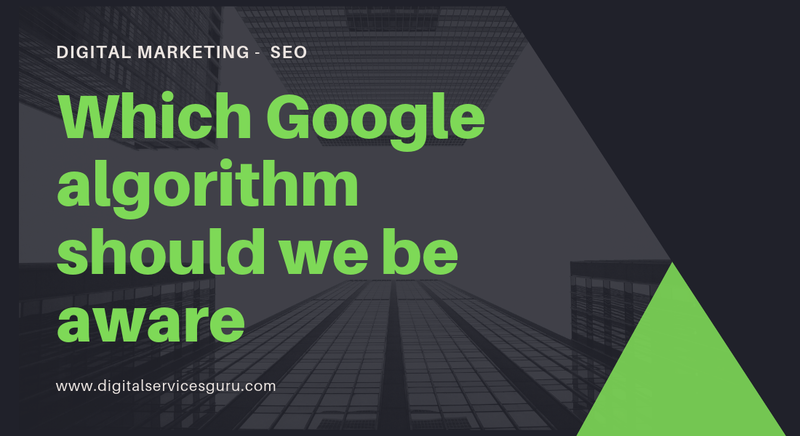 10 Apr Which Google algorithm should we be aware in 2019 of while doing SEO? Which Google Algorithm Should We Be Aware In 2019 While Doing SEO? The success in SEO largely depends on the fact that you are complying with the Google Algorithm or not. This implies, even before you design your SEO campaigns, you need to acquire a precise knowledge of the algorithm that Google follows. Here come the critical points in that regard. Your objective should be to avoid every inch of additional fats from the body of the content. However, the content should offer a precise and clean answer to the search query of the user. So, the Google algorithm guides marketers to design the content in a manner that it has some significant values to offer, while it won’t feature any irrelevant information and facts. Likewise, the algorithm will always fetch the latest content on the top of the search query. The algorithm always picks the best quality contents at the top of the search query. Contents with lots of grammatical and typing errors, irrelevant and wrong information, contents with irrelevant or distracting images, or any posts that might offer a negative experience to the audience, will get the lowest preference from Google algorithm. On the other hand, content that involves contents that involves proper information, involves no grammatical errors and comes with engaging images, gets much higher rankings in the search query result pages, displaying such content to the top of the list. Therefore, your focus should be on the quality and relevance of the content you are using. The Google algorithm has no tolerance towards content that duplicated. Reuse of images and videos are permitted. However, you are not expected to copy other’s works and claim it as your unique article. Using small pieces of texts as quotes is permitted, but, you can’t just copy and paste previous articles and contents. If such acts are caught by the Google Algorithm, it will take its own course of actions, and you might have to face the most unsolicited outcomes. Sometimes, people use software and other applications to spin their previous works or works of others to develop new content. Even if such measures will enable you to escape the duplication clause, the quality of spin articles are horrible, and the Google algorithm is smart enough to catch such attempts and efforts instantly. So, the use of such applications and software is not expected at any time. In addition, the Google Algorithm will vehemently reject such contents that are likely to hurt the emotions of the audience, seem to spread hatred, or deal with vulgarity and obscenity. Google Algorithm is not going to stand any content that might cause upright or potential harms to the users. You should develop the content in a manner that it complies with the idea code of conduct, and offer some significant values to the users. Most importantly, your focus needs to be on giving the finest experience to the audience who would read your posts.